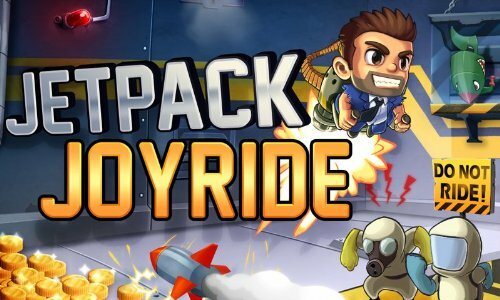 Jetpack Joyride for android just landed for free on the Amazon store. This is the new game from Halfbrick, the guys who make the awesome finger swipe Fruit Ninja game. The game revolves around "Barry Steakfries", a square-jawed hero whose task it is to steal experimental jetpacks from the clutches of evil scientists! If you haven't heard of this game before I'd encourage you to go check it out, it's both simple and addictive, the perfect type of game for mobile! At the time of writing the game is available in the Amazon App store only, however we can expect to see it hit the Play store in the coming weeks!